If you’re one of the 56 million Americans dealing with health care expenses, it’s very likely you’re looking for a solution to help you manage your debt. One in five American adults will have medical bills in collection this year, according to Fox News. Unfortunately, medical bills are overwhelming Americans and it’s not getting any better. On average, those with medical insurance owe $17,749 in medical bills and those without health coverage owe $26,971. 1. Research costs ahead of time. Seventy-three percent of Americans say they would have made better health care decisions if they knew of medical costs in advance. The reality is, hospital costs can vary state-wide. Let’s say you compare medical expenses for a procedure at your local hospital with another hospital in a few cities away. You might discover that the other hospital charges less for the same procedure. This is why it’s important to shop around when planning for a surgery or costly medical procedure. 2. Look for health care providers who value transparency. You shouldn’t be in the dark about prices when planning for an expensive medical procedure. The best way to save money on medical costs is to use providers who are transparent about their prices. When you meet with your doctor, ask how much it will cost for a procedure or medication. You can also call your insurance company to find out if there are other doctors who can provide better prices. 3. Pay attention to billing errors. 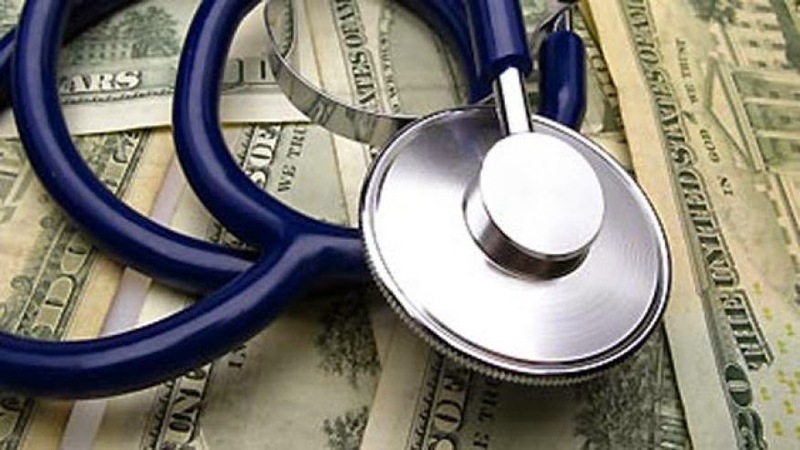 Research shows anywhere from 30 to 80 percent of medical bills contain errors. As you continue to manage your medical expenses, it’s important to make sure you aren’t paying for expenses you didn’t approve of. Whenever you receive a medical bill, make sure to ask for an itemized receipt of your expenses. You should also ask what treatments you received and have any confusing medical terminology clarified. 4. Find out if you’re eligible for financial assistance. There are a number of federal government and charity programs available to help people who cannot afford their medical expenses. Find out if you can qualify for programs such as Medicaid in order to help reduce the burden of your medical costs. Many hospitals may also offer assistance for people who have lower incomes. 5. Consider your payment options. If you have the funds available, try paying your bills in full. By doing this, you might be eligible for discounts that will decrease the costs of your medical bills. In addition, you’ll also avoid missing monthly payments and take the stress off of managing your medical bills. As soon as you start receiving treatments, make sure you keep track of everything. Especially when you receive your first bill, it’s important to document every expense and payment you make. It’s very likely you’ll receive a number of bills from doctors, hospitals, and medical centers. When you start receiving bills, don’t hesitate to contact the hospital’s billing services to make sure you weren’t charged extra for any treatment or procedure. 7. Ask for help when needed. If you find yourself swimming in medical debt, it might be wise to seek professional assistance. Especially if you’ve depended on credit to help pay your bills, you’ll need someone who can analyze your debt and help you find a solution to manage your medical expenses. Reach out to a medical advocacy group and set up a consultation. A professional medical-billing advocate might be able to help you reduce your debt. Reducing your medical debt is possible. By following these tips, you’ll be able to decrease your expenses and take back control of your medical coverage. What are your best tips for reducing medical debt? Add in the comments section below. Yeah I agree that we should do something for reducing the Medical Debt. There are many others debts that we have to take for the tanner mainstain in our business so, that we should avoid to take these types of debuts as much as we can that we can manage. I think this blog is very helpful for and we all should take care in our health matter. After reading this blog everyone must take some good stuff. Excellent information publishes you in this post, anybody can catch easily when find out there proper information from here, I really glad to enjoy with my friends and family. Thanks, keep it up.